The Aesthetics of Composition in Abstract Painting: Artwork of the month: The Gamblers restored. 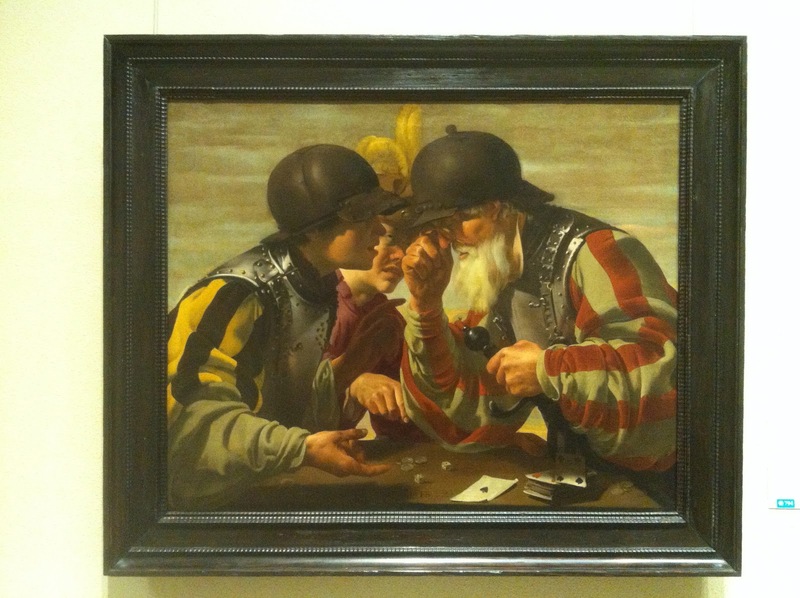 Artwork of the month: The Gamblers restored. 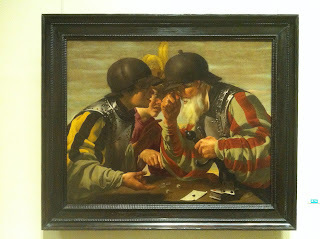 Hendrick Ter Brugghen's painting The Gamblers returned from the J. Paul Getty Museum in Los Angeles where it was restored to its original composition and color. 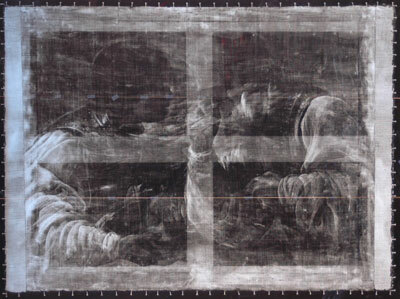 During the restoration it was discovered that smalt was originally used in the painting. Smalt (a fugitive pigment) is a transparent blue pigment made from ground glass that is colored with cobalt oxide. Smalt will discolor from exposure to light and air, as blue will eventually appear gray, as the blue smalt turns black over time. Two strips of canvas were added to the sides of the painting, extending the original dimensions of the canvas. The extra canvas was removed, the surface was cleaned, and the pigments restored.